Port Everglades is launching its newly redesigned website, porteverglades.net, offering visitors an exciting user experience through a wide range of multimedia content, intuitive navigation and powerful visual appeal. The website’s new clean look and simplified navigations allows for easy loading on smart phones, tables and other mobile devices. 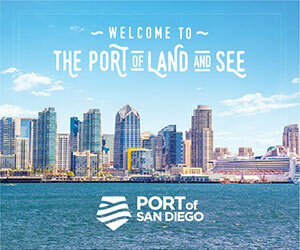 The homepage and landing pages feature visual marketing-branded icons that click directly to the most visited pages on the site and those that best tell the Port Everglades story. Travel links to the Greater Fort Lauderdale Convention & Visitors Bureau also help cruise guests better plan their pre- and post-cruise visits to Greater Fort Lauderdale. New tools since the site was launched in 2009 include a video gallery, an interactive Cruise Guide, printable pages, social media sharing, photo carousel, and “breadcrumb trail” that allows visitors to easily return to previously view pages.